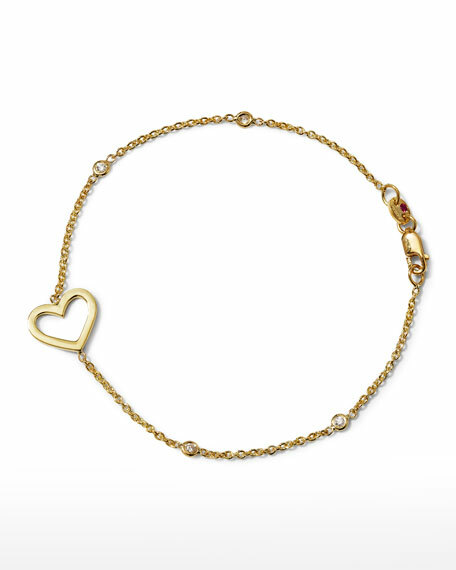 Forget the sleeve; wear your heart on your wrist with this Roberto Coin bracelet. Crafted of gleaming gold and glittering pave diamonds, it offers timeless design. 18-karat yellow gold cable chain and integrated heart pendant. Four white bezel-set diamond stations. 0.07 total diamond carat weight. For in-store inquiries, use sku #2090060.